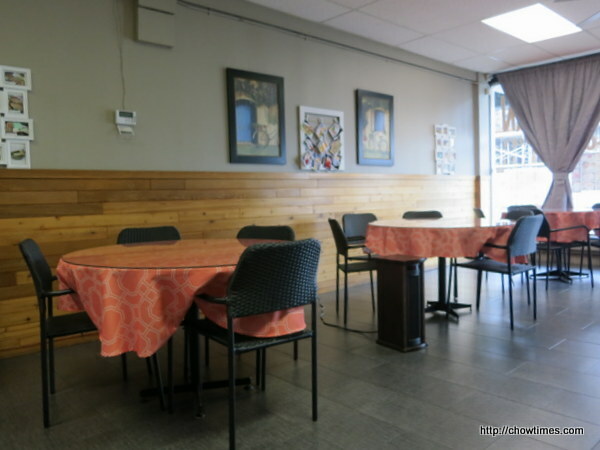 Ben and I were in the New Westminster area to run some errand and he decided to bring me to Angie’s Malaysian Eatery for lunch as I have not been here before. 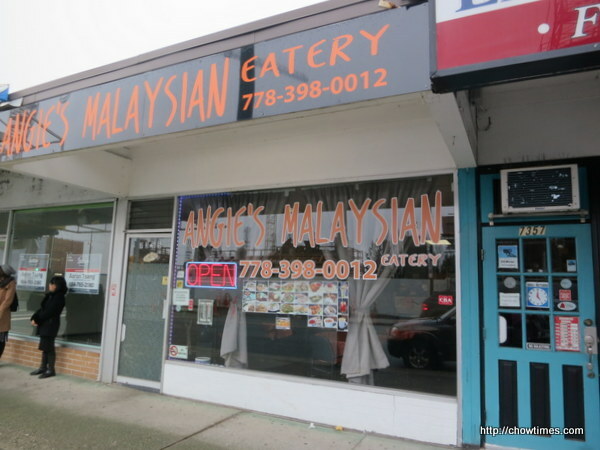 Angie’s Malaysian Eatery is a short walk from the Edmonds Community Center. There are some high rise constructions right across this street mall. 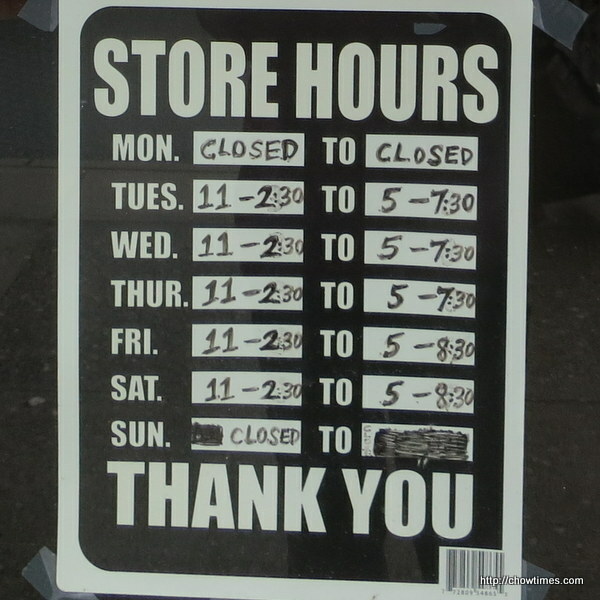 I’m sure the future prospect will be good when the buildings are fully occupied. We arrived at an empty restaurant at noon. 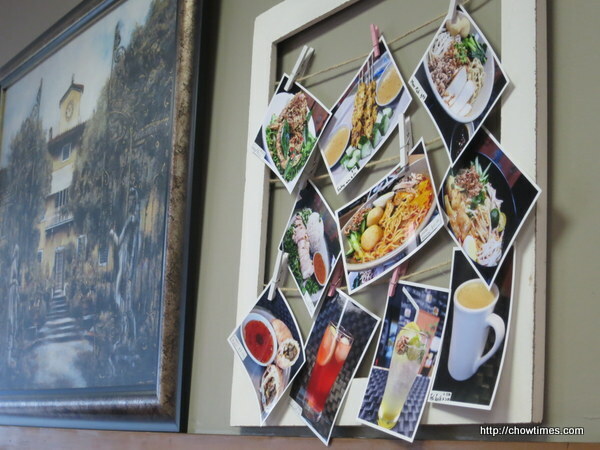 The cute thing about this restaurant is that their decoration include pictures of the menu, literally photo prints. They even handed a stack of them to us together with a one page menu. We ordered the Seria Kolomee. This is one of the popular dish from Brunei as I overheard the conversation between the lady at the counter and a customer who came in for take out. 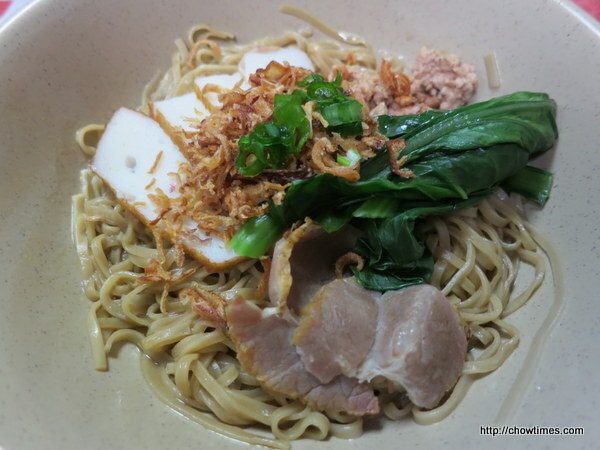 It is a dry mixed flat noodle (meepoh) served with BBQ pork, fish cake, blanch green and fried shallots. 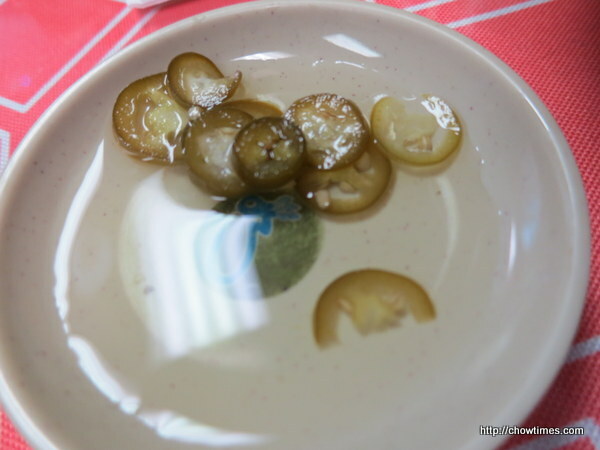 The Kolomee is served with a side of pickled green chilies. The chilies add a little spiciness while the tanginess from the pickle juice adds a refreshing note to the noodle too. We felt that the serving of the noodle is a bit small for the price of CAD9.99. 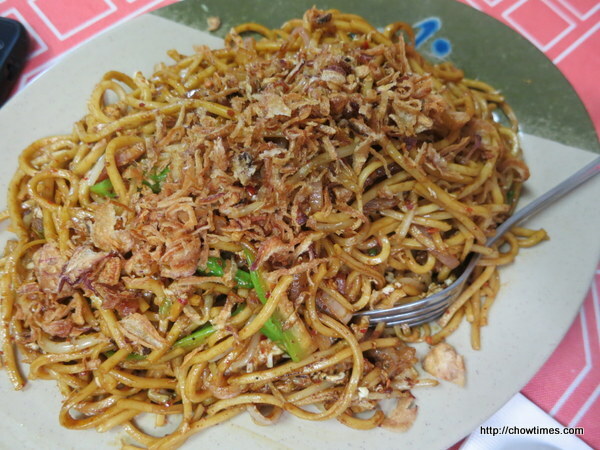 We also shared a Mee Goreng which is available at lunch only for CAD14.99. 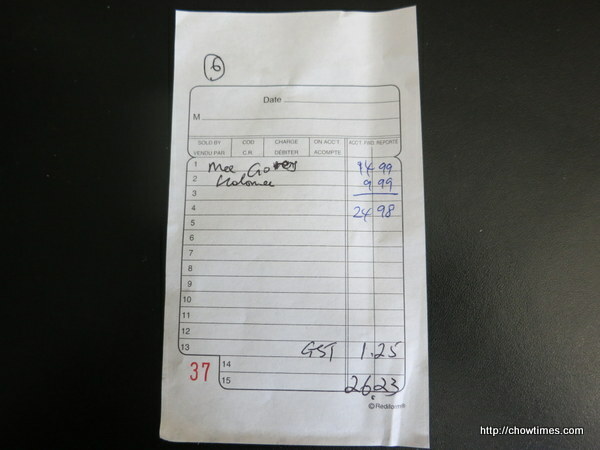 The serving of this dish is big, justifiable with the price. What Ben like about this noodle is that there are a lot of fried shallots which add a little cruncihess to the texture of the dish. Angie’s Malaysian Eatery accepts cash and debit card only. 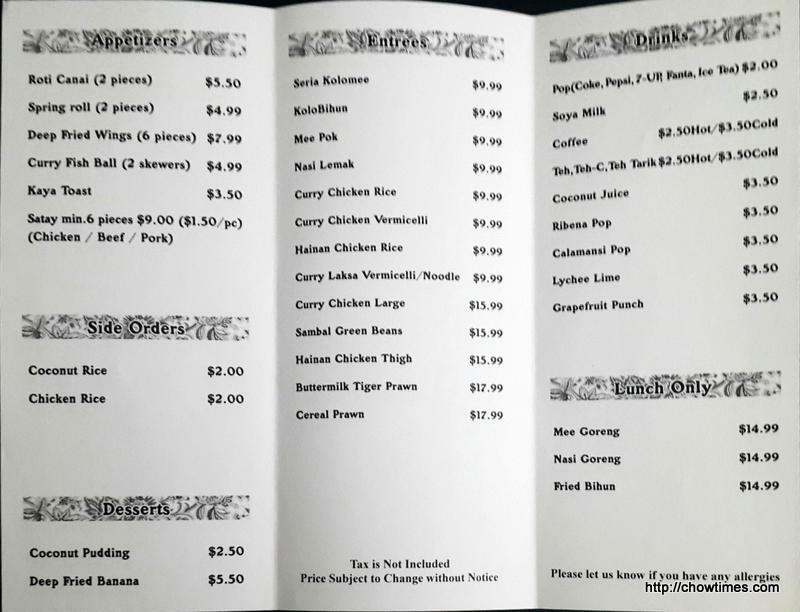 Here is the one page menu.